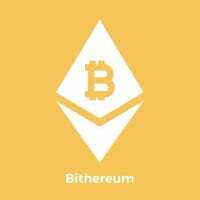 Bithereum is a coin that is created via forking the Bitcoin blockchain. BTH will function as a peer-to-peer electronic cash system similar to Bitcoin, however it will fuse with the technological roadmap of Ethereum to create a more technologically advanced version of Bitcoin which is structured around Proof of Stake consensus. The current issues plaguing Bitcoin are the community schism, scalability, proof of work, and the rise of the mining cartel. The deep divide has pitted the once strong community against each other with no common ground on solutions for any of the current/future issues. In addition, the rise of ASICs and the 4 mining pools that dominate 61% of the hashpower create a level of centralization in consensus. Instead of sparring over on-chain and off-chain scaling solutions, Bithereum recognizes the importance of both, and will incorporate all-encompassing solutions. Proof of Stake will make the network faster, more efficient, cheaper to run, and more secure. It eliminates the need for expensive hardware, mitigates high energy costs, prevents both ASICs/large pools from dominating, and increases the network security from 51% attacks. Issues faced in common PoS protocols are alleviated through Ethereum’s Casper protocol and its slashing conditions. With this implemented into Bithereum, the benefits of this technology will positively affect Bitcoin’s issues and ensure its long term success. Since a Casper contract can be created using Ethereum smart contracts, which is not the case with Bitcoin, Bithereum will leverage various opcodes and introduce new opcodes with built in functionality that mimics Casper-like Proof of Stake. More details about our Proof of Stake model can be found starting on page 14 of our white paper. Bithereum essentially creates an outlet for both Bitcoin and Ethereum, allowing BTC to take on its new role as digital gold, and allowing ETH to be used for its true purpose, as fuel for a worldwide computer that can contain a vast ecosystem of dApps on its platform. With the harmonization of Ethereum’s technology and Bitcoin’s vision, Bithereum will bring together the best of the two leading cryptocurrencies to create an unparalleled peer-to-peer digital currency. The snapshot is estimated to occur on block #543,000, or at the end of September. We will also be introducing a bounty program to provide supporters with an opportunity to secure BTH in exchange for participation in Bithereum tasks. Bithereum will be a coin that benefits both chains, becoming the first hard spork of its kind. Bitcoin will first be hard forked to make changes to the protocol that will allow it to be a more technologically advanced peer-to-peer currency, while Ethereum will be hard spooned by taking a snapshot of the existing account balances of ETH holders to reward them in Bithereum. As BTH utilizes a significant portion of Ethereum's vision, unlike all of the other BTC forks, we will also be awarding all ETH holders with coins, giving them the ability to stake their coins in the future as well. Since BTH will start out as a direct descendent of BTC, all BTC holders will be able to claim their BTH in the same way they would with any other hard fork of Bitcoin. Bitcoin holders will be able to redeem BTH at a 1:1 ratio with BTC. For further details on the process, you can head over to the FAQ section of the website at https://bithereum.network/#section-faq. ETH holders can get started on the process at https://bithereum.network/ethredeem. Note: Bithereum coins will be released to the BTH address you create for redemption upon the launch in late-September. Blockchain is built behind the idea of a consensus network and the divide within BTC has hindered this. Proof of Stake once again prioritizes consensus in the blockchain. Prior to shifting to Proof of Stake, BTH will begin mining through an Equihash <144,5> Proof of Work algorithm, a democratized mining structure that will bring mining back to the people. A complete two-way replay protection mechanism will be implemented to ensure that holders transact on the correct chain. Hi everyone, check out our newest blog post which dives deeper into the solutions Bithereum is providing to combat Bitcoin's issues with their current PoW model and the centralization of mining by implementing a Casper-like PoS model. Also, while the Bitcoin scaling debate has pit the community into opposing sides, side-chain scaling vs. on-chain scaling, Bithereum recognizes the value of both options, and will implement all-encompassing scaling solutions in addition to PoS. We have just released our newest blog which details Bithereum's PoS proof of concept. Our model revolves around leveraging current opcodes and implementing new ones to create a Casper-like PoS model atop of a modified version of Bitcoin. Check it out and let us know your thoughts!